Thread continued from WILDLABS Virtual Meetup Series – Season 2! Ahead of our next series of Virtual Meetups, we want to do a bit of landscape mapping and figure out who is working on open source projects and what these are. So, please drop a comment below if this is you, tell us bit about the project and definitely include a link to a github repository so we can all find out more about your work. if there are things you need help with or ways people can get involved feel free include this info as well. I imagine we'll pull these all together into our github repository so they're easy to find ( @joenash is keen for us to follow this community convention), and also link all the projects as part of the notes accompanying the virtual meetups. So consider this a good chance to shamelessly plug what you're working on and get enthusastic eyes (either users or contributors) on your work. We've also got a final speaker position to fill in our opening meetup (though we do have some ideas), so we're going to be keeping an eye out for interesting projects to potentially feature more prominently. Would be an interesting to see open source in action. At https://aivi.in we are working towards utilizing open source tech to make camera traps smarter and collabrating field work for conservation efforts. I'm working on an acoustic recorder, such as for soundscape or bird work. It will be open source soon (hardware and software). A feature I am working toward is stacked multiple recorders to get synced recordings. This is to enable recording from a microphone array and ultimately to enable a count of individuals instead of a count of calls. I've stopped work temporarily on the AUV for lack of a solid operational goal. It would be great if we end up with more code that can be shared with other organizations. We have developed a Passive InfraRed (PIR) based motion sensor - SensePi. It is a low-power app configurable motion sensor that detects movement of body heat. An iOS/Android app can be used to configure various camera trigger modes, operational modes and sensitivity without having to fiddle with tiny knobs and switches. The detection area depends on the kind of lens being used: narrow or wide. We've had to go through multiple iterations to get to the stage where we are manufacturing it at scale (albeit small) and are able to sell it as a product. We optimized the electronics for cost and design for manufacturing. The manufacturing included board level and system level testing to ensure quality of manufacturing. Now we are developing an active IR beam based motion sensor - SenseBe. The electronics and firmware are almost finalized and we're now working on the enclosure. This is also a low-power app-configurable motion sensor where animal is detected when it breaks a beam of IR light. All this experience will be quite valuable for us to develop an open-source camera trap specifically designed for conservationists and available off the shelf commercially. We've applied to the ConservationX prize for this ( https://conservationx.com/project/id/348 ). Any feedback that we get would be quite valuable. 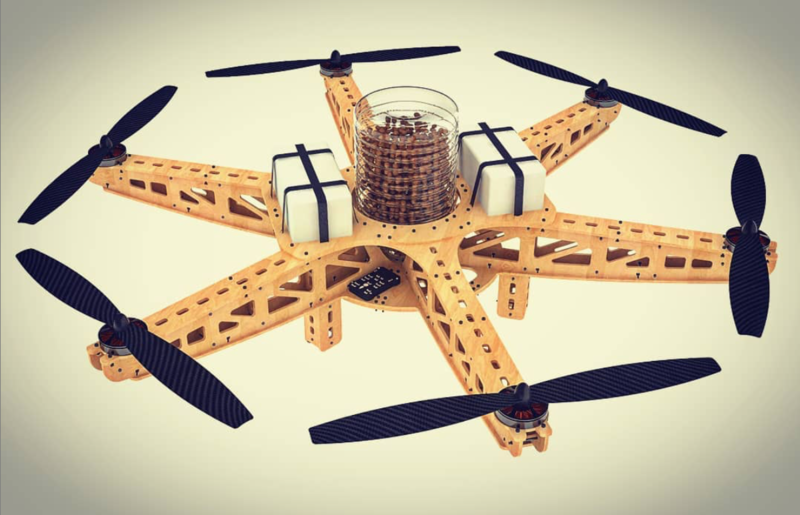 I'm developping an Open Source Drone with lasercut and 3dprinting to do aerial sowing after wildfires. We just finished our firsts tests and released all the documentation. I think for hardware projects works better wikifactory rather than github, since is oriented to phisical designs with online visualizations rather than only software. I'm interested in contributing to the hardware development of open source collars, tags, sensors, and camera traps. I'm hoping through collaboration, we can establish a common platform to reduce the cost, effort, and skills necessary to collect data essential for conservation efforts. I work with a number of camera trapping projects (primarily in Africa, but some North American imagery) which we host on Zooniverse, and we rely on a combination of citizen science and machine learning to process our images. Our project has code available online to assist with automatically identifying animals in camera trap images by training and applying a deep neural network. You can access that information https://github.com/marco-willi/camera-trap-classifier !